This is an important point, and so after summarizing some of his criticisms of the NGO community, I aim to to “analyse the objective effects of” Shivji’s booklet in an attempt to determine the limitations of his scathing polemic. Shivji concludes that: “In spite of these limitation, I do believe that NGOs can play some worth role. But we do have to recognise what we are not.” This may be true, but I would like to suggest that Shivji’s decision to provide no discussion of the imperialist history of liberal philanthropy clouds his readers’ ability to differentiate between obviously manipulative donors like the World Bank, and the US Agency for International Development, and what are often considered (falsely) to be benign donors, like liberal foundations. This is problematic as understanding the long and dirty history of liberal philanthropy is integral to comprehending the deeper phenomena that undergird the imperialist evolution of the NGO-driven change industry. The Munros Challenge, one of Christian Aid’s 70 anniversary events in 2015. What is not mentioned is that Pambazuka News, which is produced and published by Fahamu: Networks For Social Justice, is itself funded by the world’s leading liberal elites, including groups like Christian Aid, the Ford Foundation, and George Soros’ Open Society Initiative for Southern Africa. As history has shown, such elites are quite willing to fund and even promote radical critiques of society (within limited circles at least), if only so they are better placed to co-opt their ideological adversaries more effectively. 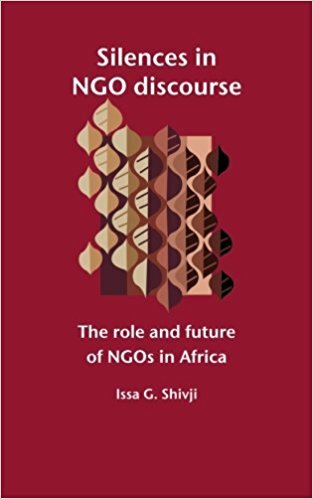 In fact, Shivji’s fairly superficial critique of NGOs is just the type of work that is typically promoted by reformist elites; while by way of a contrast, more radical criticisms, like for example, INCITE!’s edited book The Revolution Will Not Be Funded: Beyond The Non-Profit Industrial Complex (South End Press, 2007), are conveniently ignored. This is not to say that much useful information cannot be gleamed from Shivji, but we should understand that people who have been embedded in the non-profit industrial complex for a long time are not necessarily the best people to critique it. Therefore, instead of just relying upon elite-dominated universities to provide such criticism we need to turn to the people around us, and work together with them to develop the type of research bodies that will be need to meld theoretical and activist concerns in a manner that can truly promote revolutionary social change.